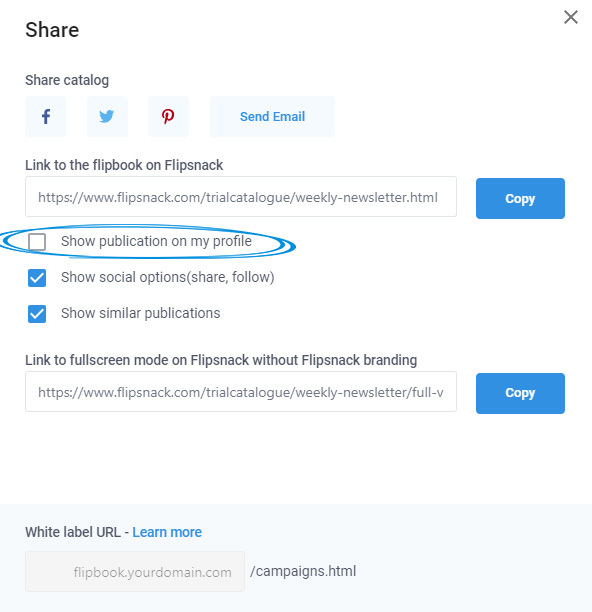 Find out how Flipsnack profiles work and how to customize yours. 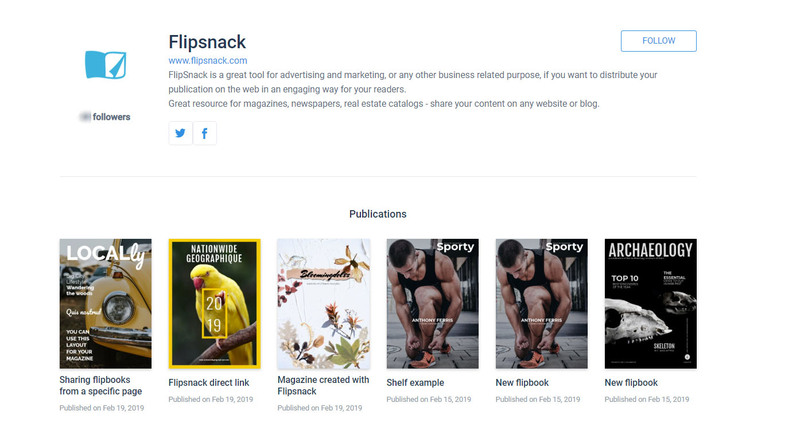 Your Flipsnack profile is the page where all your flipbooks are displayed and where people can find some more information about you. 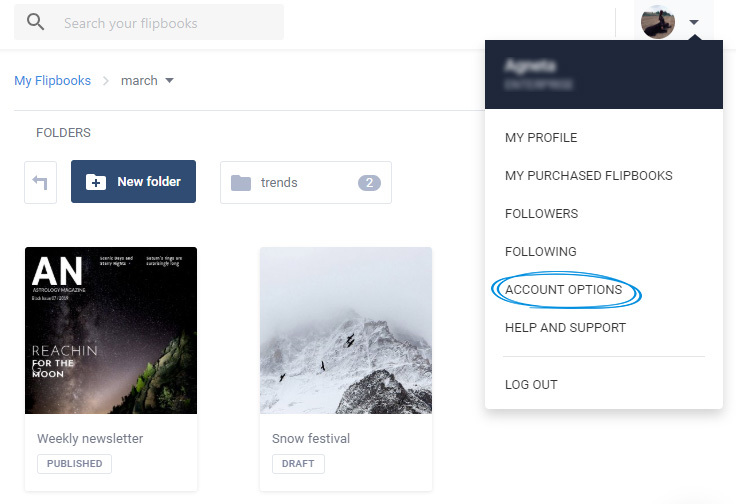 In order to access and edit your profile, log into your account then in the header on the right side go to your profile image, click it, then in the drop-down select Account options. add social media buttons: Instagram, YouTube, Twitter and Facebook. 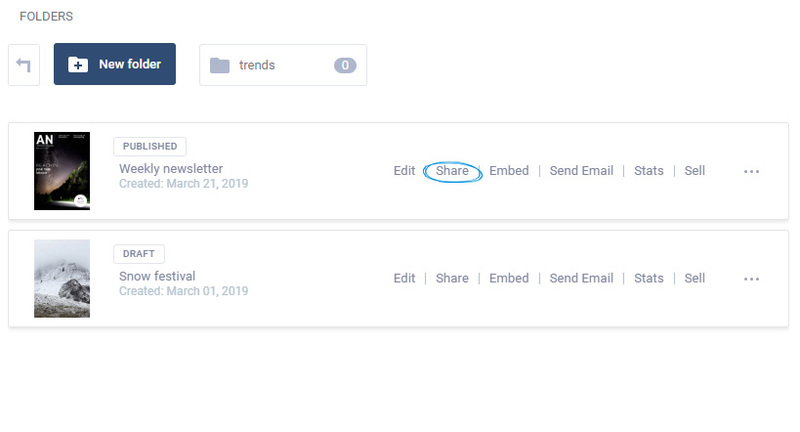 Once you're happy with your changes, you can save them by clicking on Save changes and view them on your Flipsnack profile by clicking on See my profile. 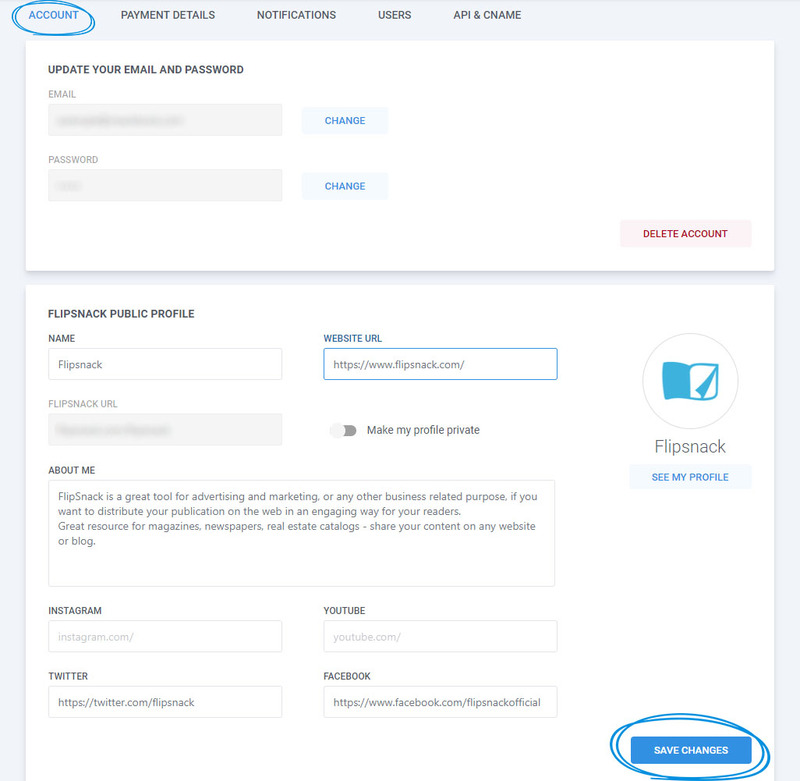 Free users will have all their flipbooks shown on their profile, while premium users can choose not to display them. Go to My flipbooks, locate the desired flipbook and click on Share. 2. Uncheck Show publication on my profile.